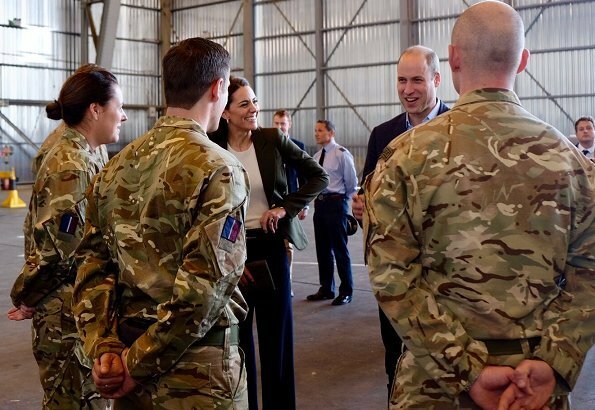 On December 5, 2018, Wednesday, the Duke and Duchess of Cambridge visited the Akrotiri RAF base in Cyprus and met with Serving personnel, families living on the Akrotiri base, wider station personnel and members of the local community. 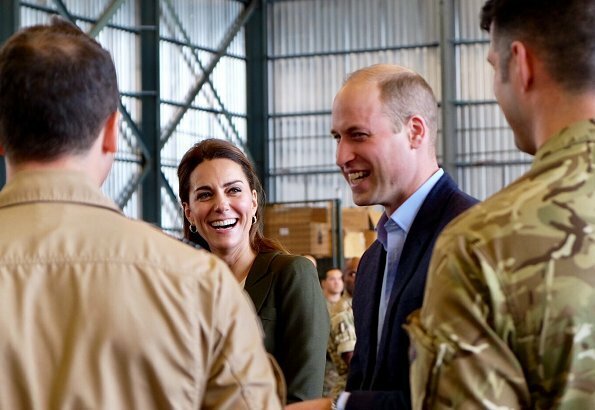 The Duke and Duchess of Cambridge also officially opened the Oasis Centre at RAF Akrotiri. 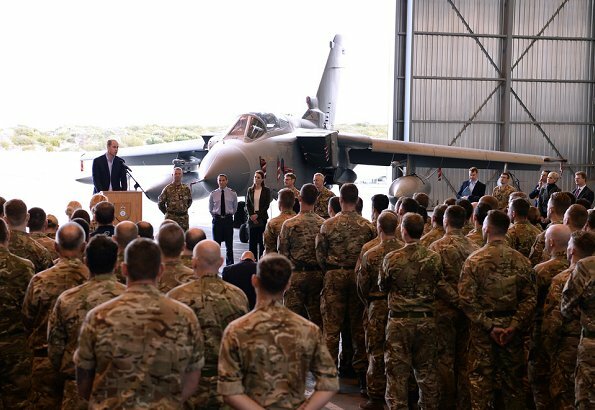 The Cyprus Operations Support Unit, based at RAF Akrotiri provides joint support to British Forces Cyprus and operations in the region to protect the UK's strategic interests. 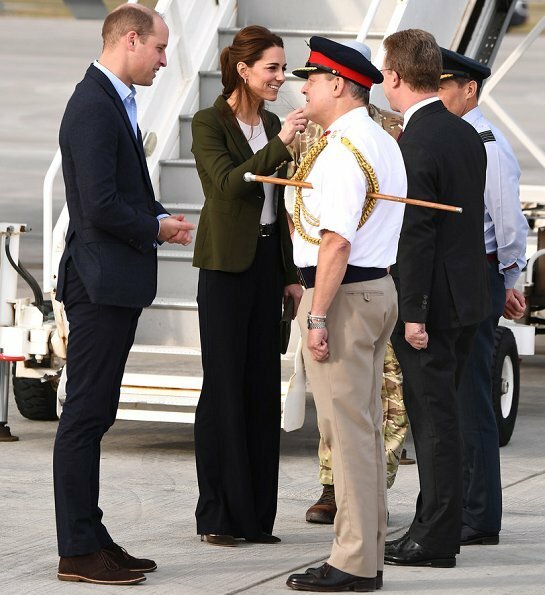 (The Duchess's wearing her Smythe Duchess blazer). i disagree! baggy trousers are not her style. I agree! I love her trousers. Lovely and relaxed ensemble,she looks great! Nice chemistry between the couple. 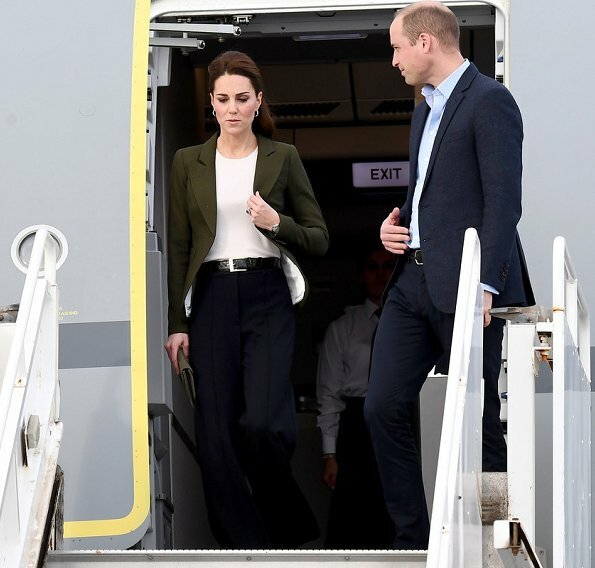 Wide pants or baggy trousers are trendy, and I see no reason why Catherine could not occasionally move away from her usual style (sometimes also criticized for old-fashioned). That shows openmindness. They fit her very well. I don't really like most of her recent makeup, not flattering for her. 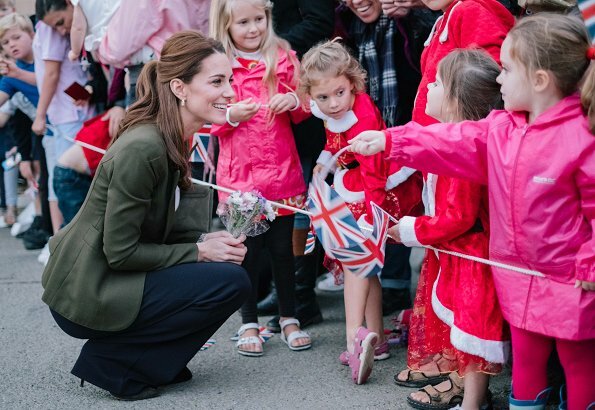 Well done Duchess Catherine! I like her outfit and hair! La couleur de la veste n'est pas flatteuse pour sa carnation. This is a master class on the sheer power of correct styling. The olive blazer makes the outfit. It’s structure is a good counter to the slightly longer plants. Totally agree with you Anonymous. 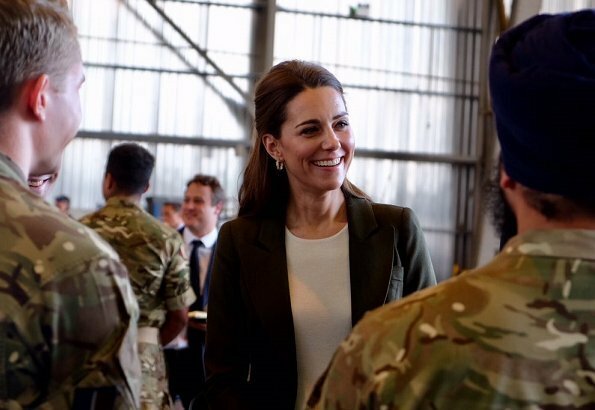 The blazer colour is a nice touch for visit to a military base. 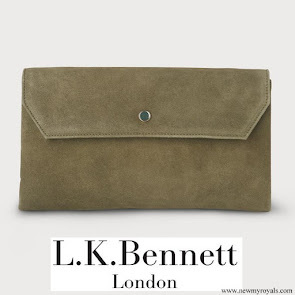 Kate, more than anyone else has become a great consistent dresser. It’s like you notice her first and then fabulously well made clothes that fit her PERFECTLY. Yes! She clearly avails herself of top-notch tailoring, and deserves credit for seeking the help she needs (as anyone would) to look her best. 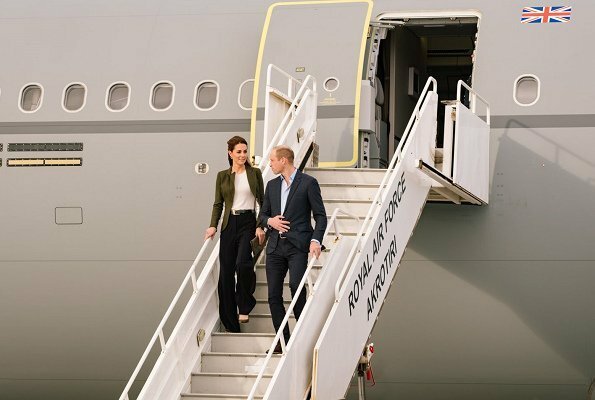 I was surprised to see Kate in pants, she doesn't wear them often during official engagements. I'm not a fan of these, but for someone who doesn't wear them often, I think she did a good job. Nice to see how the blazer matches with the uniforms of the men. And her hair is nicely out of her face, suited to the occasion. the shirt is a bit to simple for me, but otherwise she looks great and professional. Beautiful! Finally not skinny jeans for a less formal event. Finally! Agree. I am so grad to see it too! To her stylist, please select pants that has more beautiful line. 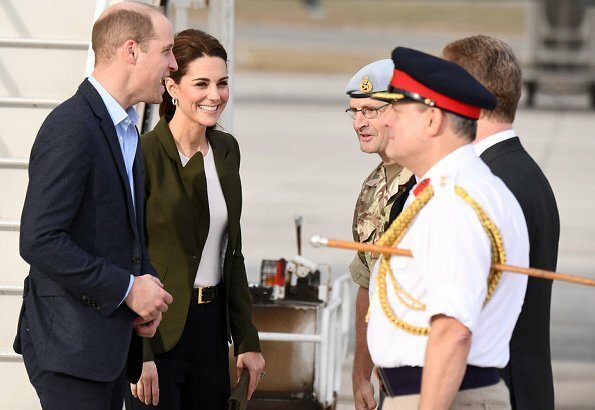 Great outfit, perfect colour of the blazer ... and William is always so gentlemenlike and looking after her ... very nice to see. 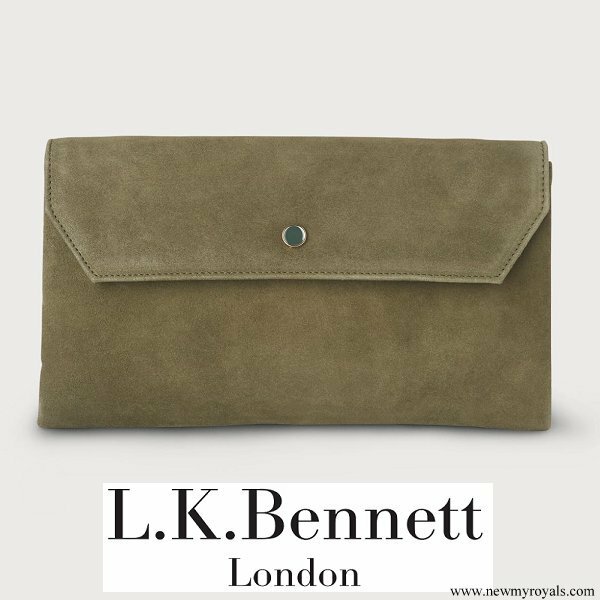 There will always be a place in my heart for matchy-matchy styling, but here, mixing neutrals was the way to go. Pairing black belt and shoes with navy trousers makes the look more layered an interesting. 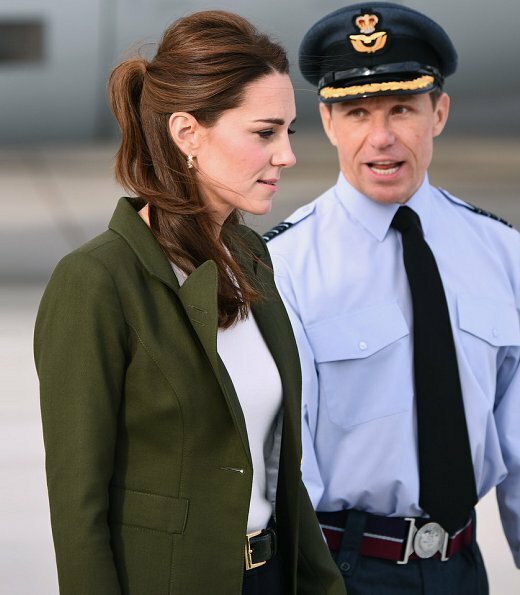 Great outfit, perfect colour of the blazer ... and William is always so gentlemanlike and looking after her ... very nice to see. A blouse would be even better, but IMO one of her best outfits. Since the Duchess of Sussex appeared Catherine seems more couraged and in the end more confident. Possibly because all the public and media attention is not exclusively on her anymore, and she can have a bit of breathing space to do as she pleases and try some new styles and directions without every move being scrutinized. I think it has to do with her longer maternity leave this time. She came back after George like 2 month after birth (she looked so tired in Anglesey). From experience I can tell you, I couldn´t form straight sentences after 2 month. It gets better with the second and probably with the thrid child. She learned and took longer leaves with charlott and lousie. Good for her and anyone who can manage to do so! It's a very precious and mostly not easy time. Also I think louise seems to be an easy baby, she looks so happy. I like this professional look. Well done Kate ! 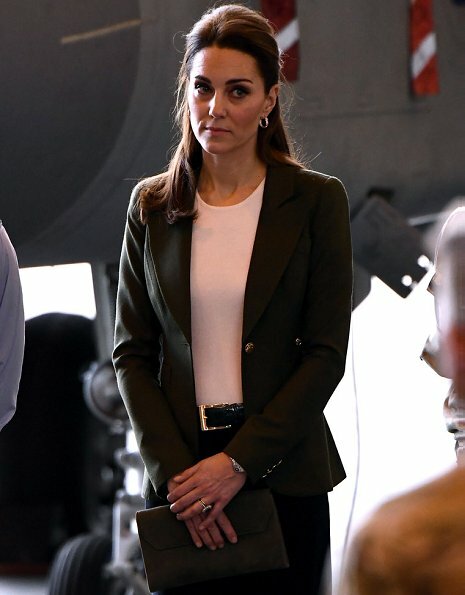 When you're wearing something you feel good in, and the whole outfit comes together, it shows in your demeanour,and Kate's look today is a good example of that. A great basic pants outfit with good colours, she looks wonderful. Thankfully she went for a looser look. I love Catherine; something seemed to change in her after she had Louis - perhaps it's simply more maturity, but it suits her well. What I noticed was her wonderful hair arrangement. Still beautifully long but elegantly held back from her face. Hair looks great. Choice of colour of outfit good smart casual;a little bit military.She looks like she is deep in thought on some photos. Great look that perfectly suits the occasion. The blazer does not fit her well and it's too short for her body. I'm very happy to see her with trousers but the combination is not succesful. en ze zijn altijd vrolijk!!!! Little Louis is back in England with Grandma Carol?